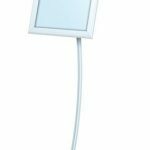 Floor Standing Poster Holder – High Quality Poster Frame Stand for Retail and Trade Show! ULTRA CONVENIENT – FRONT LOADING! These floor standing poster holders are great advertisement displays for grabbing an audience’s attention! Snap frame, also known as free-standing graphic frames, use their unique design to differentiate your graphic from competitors’. Straight posters panels can be used to promote a sale, to greet visitors at your retail shop or even to make statements about an important cause. We offer these straight displays in a variety of sizes, you can stack up two frames, single or double sided! 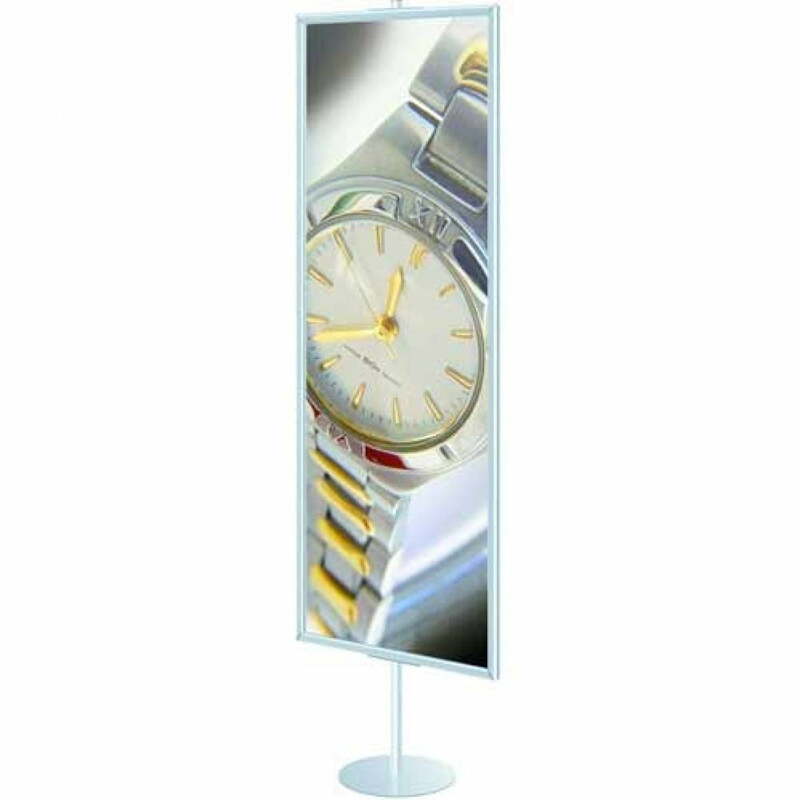 These indoor floor standing poster holders can catch an audience’s attention from several directions. These units are ideal for any event such as trade shows, exhibition fair, conferences, a hotel lobby directory, malls, conventions centers or trade shows. These aluminum stands high quality and can resist damage when used indoor. Floor standing poster holders come with clear or matte lens to protect the graphic and they are scratch resistant. Clear or Matte overlay lens included. 13” Round 7 lb. base with metal bushing. 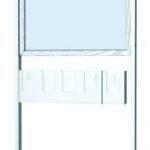 Jumbo 1-1/2″ diameter x 66″ tall pole. 2 Available Styles: Mitered or Radius Corners. Note: Radius Snapframes accept substrates up to 1/8″ thick, wheras our Mitered units accept substrates only up to 1/32″ thick. shop and back wall display.